Τοποθετημένο στην υπέροχη περιοχή της Τσάιναταουν, το ZEN Rooms Bukit Merah χαίρει μιας επιβλητικής θέσης στη ψώνια, εστιατόρια, πολιτισμικά αξιοθέατα κεντρικό σημείο της Σιγκαπούρη. Μόνο 23.4 km μακριά, αυτό το 3 αστέρων ξενοδοχείο είναι εύκολα προσβάσιμο από το αεροδρόμιο. Από τη βολική της τοποθεσία, η ιδιοκτησία προσφέρει εύκολη πρόσβαση σε κορυφαίους προορισμούς της πόλης. Επωφεληθείτε από ένα πλήθος ασυναγώνιστων υπηρεσιών και ανέσεων σε αυτό το ξενοδοχείο της Σιγκαπούρη. Κορυφαία χαρακτηριστικά του ξενοδοχείου συμπεριλαμβάνουν τα δωρεάν WiFi σε όλα τα δωμάτια, 24ωρη φύλαξη, ημερήσιος καθαρισμός, 24ωρη ρεσεψιόν, χώρος στάθμευσης οχημάτων. Η ατμόσφαιρα του ZEN Rooms Bukit Merah αντανακλάται σε κάθε δωμάτιο. Στην ιδιοκτησία θα βρείτε επίπεδη τηλεόραση, λευκά είδη, ασύρματη σύνδεση internet (δωρεάν), κλιματισμός, γραφείο, καθώς και πολλά άλλα. Το ξενοδοχείο προσφέρει μια άριστη ποικιλία ψυχαγωγικών εγκαταστάσεων, όπως τα γυμναστήριο. 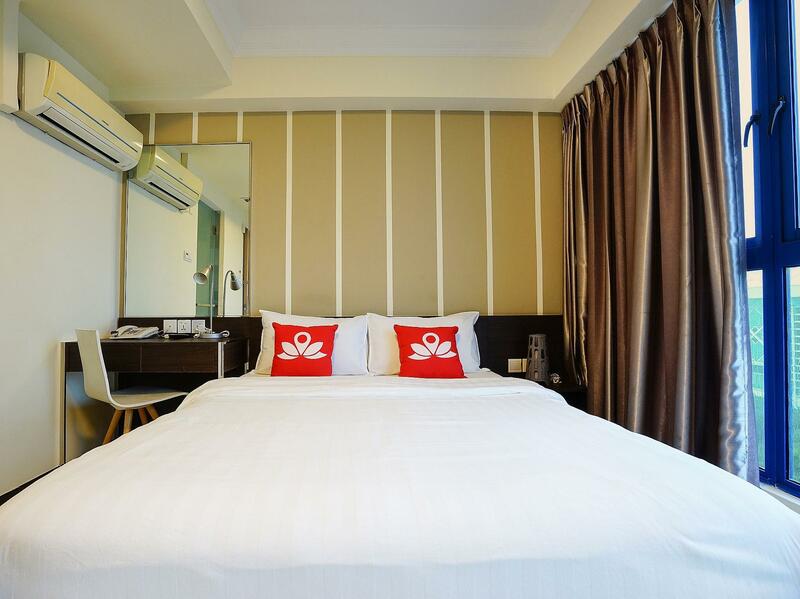 Το ZEN Rooms Bukit Merah είναι μια έξυπνη επιλογή για τους ταξιδιώτες στη Σιγκαπούρη προσφέροντας κάθε φορά μια ήρεμη και ήσυχη διαμονή. The property does not provide breakfast on Sunday. I had a last moment confirmed reservation. But followed by an email which said “But” Later when I call your reception desk, they said “not confirmed”. When I call Agoda to refund my money, I receive shocking email which says “I already occupied the room 610 and I also checked out in the morning”. Utter nonsense fro. The hotel side. Disappointed and unhappy. Note: Stars only filled up as there was no option to submit review without filling up stars. the staffs are very friendly. ample parking lots. near to vivo city. we were upgraded to superior room. the room are acceptable. but sad to say the aircon is not functioning well. was not cold at all. maybe is due to smoking room effect. anyway will visit again. Quiet location, close to public transportation, the room is simple and provides everything you need, including a fridge. Drinking water is provided by a water refilling machine, which is great. The room is very dirty. No cleaning prior to arrival. The room was very clean and housemaid had cleaned the room very tidy every day. The location was not good for the subway but if you use Grab then no issue for you. Very close to Vivo City just 5 mins away by car. Dismal rooms and a miserable setup for breakfast. Poor food offerings and an uncovered shelter from the rain. No room service and no restaurants in walking distance. A cab to Clark Quay is 15 SGD each way. The room looks like house room with a very cosy décor. The bed is huge and like a 5 star bed. Soft and I didn't want to get up. The tv is bad though. It needs to be fix. Overall a great stay and value for money. Will definitely stay here again. I booked ZenRoom Bukit Merah (16 - 18 Septemebt) because I wanted to stay close by to Sentosa Island to explore the island. When I arrived at the ZenRooms Bukit Merah, the receptionist told me that they did not have any room for me and the ZenRooms had left the message for me to be sent to ZenRooms Joo Chiat they even told me that ZenRooms had told the reception at Zenrooms Joo Chiat to pay for my taxi fare. When I arrive at ZenRooms Joo Chiat, they did not have my booking there and nobody there can confirm about my booking. I then gave my Agoda Booking number, they said that they had technical problem and I had to wait for around 1 hour just to get the confirmation for the room. I had to speak to the Zenrooms officer for more than 5 times and I had to ask him to pass me on to his Manager in order to sort out my situation. At the end after very long wait I got a room in ZenRooms Joo Chiat without the reimbursment for my taxi fare of SGD 20. In total, I wasted more than 2 hours just to get settlled into the hotel room which I had already paid one day before. Again, in the morning when I wnet for breakfast, a staff of the hotel said that my accommodation did not include breakfast whilst as far as I know my booking at the ZenRooms Bukit Merah also include breakfast. What an appalling service. I can not believe this kind of service still happen in Singapore!!! Till this very time, no body from ZenRooms appologize to me. It is really sad to witness this kind of Service happen in Singapore which was very famous for effective and efficient service. I hope this kind of stuff would not be repeted again. 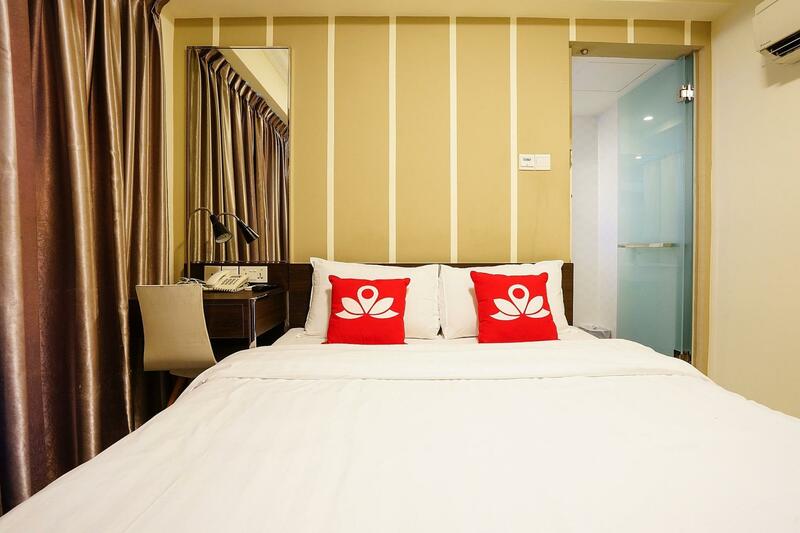 For Agoda, please check the hotel you cooperating with. For it would taint your excellent service. It would be great if Agoda could investigate this issue. The room was clean and comfortable. Toilet is in excellent condition. Necessities were provided such as toothbrushes and i even received a complimentary toiletry bag with a small face towel. However the air-conditioning unit was too near the bed so it was difficult to control the temperature and fan speed as it was blowing too near. It either gets too cold or too hot. Σταθμός MRT Harbour Front στα 1.13 χλμ.